You’ll need to be in a platoon to complete most of the missions. 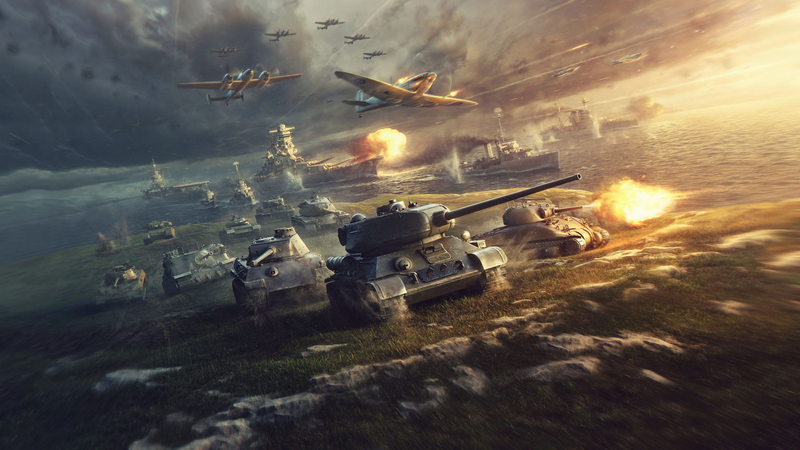 Wargaming is hosting yet another month of special new World of Tanks missions where players can earn TankRewards points and unlock rewards. This month also marks the first iteration of the new TankRewards 2.0 system, and Wargaming is celebrating by adding a platoons-themed motif to the latest batch of missions. Even if you’re not in a platoon at the moment and have no desire to join one, you can still earn a single TankRewards point every day by completing the daily mission. To complete the daily mission, all you have to do is earn a total of 20,000 XP across any number of battles. Keep in mind that if you’re looking to maximize the amount of TankRewards you earn, you’ll need to join a platoon. Win five battles while in a platoon. Earn the “Brothers in Arms” medal while in a platoon (all platoon members destroyed at least three enemy vehicles and survived the battle). Earn the “Crucial Contribution” medal while in a platoon (the platoon must destroy at least 12 enemy vehicles in a single battle). For a detailed breakdown of the prizes you can earn for both completing missions and reaching point thresholds, refer to this post on the World of Tanks website. You can also find out more at the official TankRewards website. For more on the latest World of Tanks coverage, be sure to check out our list featuring the top six maps in World of Tanks.